Oracle Hyperion Planning is a web-based solution owned and developed by Microsoft that is used for planning, budgeting and forecasting so as to put together financial and operational planning processes and develop business predictability. 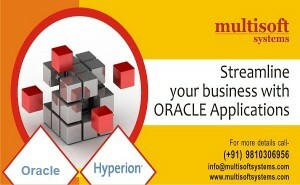 Oracle Hyperion Planning provides a deep insight into the different business operations and its impact on the financial resources of the organization by integrating financial and planning models. There is also a planning application exclusively built for the public sector and healthcare industries for planning, budgeting and publication purposes known as Oracle Hyperion Public Sector Planning and budgeting. • Reducing planning, budgeting and forecasting cycles by weeks or months. • Eliminating time lag between creating plans and submitting reports.